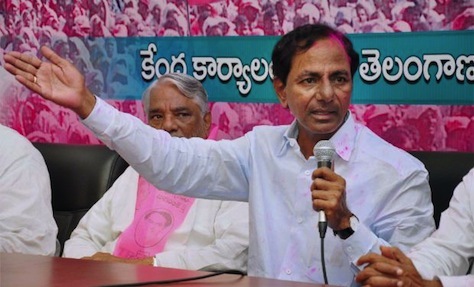 On June 2, Telangana, an otherwise landlocked region in the center of India, will become the country’s newest state, carved out of the existing state of Andhra Pradesh. Today, Telangana’s voter determined the shape of the new state’s first-ever government, as they elect all 119 members of the incipient state legislative assembly. When the European Union expanded Regulation 1236/2005 in December 2011, its regulators could hardly have known that it would lead, in part, to the excruciating scene of a failed 43-minute execution in McAlester, Oklahoma. The EU decision expanded an existing ban on the trade of instruments used for torture to include those drugs specifically used by US state correctional facilities to execute prisoners by means of legal injection. It codified at the EU supranational level what had already become a growing practice at the national level in Europe, including in the United Kingdom, arguably the closest international US ally. it served a laudable goal from the European perspective — making it more difficult for state governments in the United States to import the necessary drugs in the traditional three-drug cocktail used by most states for nearly four decades to execute inmates by lethal injection. What’s more, that decision is the latest example of how the European Union’s policies are increasingly affecting the United States — from antitrust law to data privacy to trade harmonization, European regulatory standards will continue to shape US policies and outcomes in new and, for some Americans, often frustrating ways. As a matter of human rights, both the Charter of Fundamental Rights of the European Union and the European Convention on Human Rights denounce and ban the death penalty within the European Union. But the death penalty’s abolition goes beyond the immediate boundaries of the European Union — it’s banned almost universally across Europe, with the single exception of Belarus. Even Russia, which isn’t exactly the best-practices touchstone for human rights, has implemented a moratorium. Russia’s last execution took place in 1996. France’s last execution (yes, by guillotine) took place in 1977. Italy’s last execution (by firing squad) took place in 1949. The last UK execution (by hanging) took place in 1964. The entire era of executions by ‘lethal injection,’ which largely followed the US Supreme Court’s four-year moratorium* on capital punishment over concerns that executions violate the eighth amendment ban on ‘cruel and unusual punishment,’ comes largely after Europe abolished the death penalty. By the time that lethal injections became the standard practice for executions, Europe was largely out of the execution business. potassium chloride, which stops the heart and, in theory, rapidly leads to death. Ironically, the two most potent drugs are widely available. It’s sodium thiopental that’s become so difficult for state governments to obtain under the new EU regulations. With sources of sodium thiopental becoming increasingly scarce, correctional facilities are turning to some fairly desperate measures to avoid disruption of their regularly scheduled executions. In some cases, that’s meant sourcing drugs through illegal channels, and in other cases, that’s meant that states, like Oklahoma, have experimented with new combinations of drugs. When Missouri contemplated using propofol instead, European countries started talking about banning that drug’s export, too, which led to a deluge of concern among US health professionals that they would lose access to one of the most important anesthetics in medical use today. Missouri’s governor Jay Nixon quickly moved away from the idea. That’s left the United States where it is today. States like Oklahoma, determined to move forward with executions, are left with few good options. Experimenting with new drugs will invariably lead to more botched executions like Tuesday night’s execution of Clayton Derrell Lockett (though it’s worth noting that lethal injections, and all executions, are potentially imperfect from an Eighth Amendment perspective — Ohio learned this in 2009 with the failed execution of Romell Broom). But the EU decision has also led to more astonishing measures. Oklahoma has taken extraordinary steps to keep secret the contents of its new experimental execution cocktail — if EU member-states discover which drug Oklahoma is using, they could easily ban that drug as well. 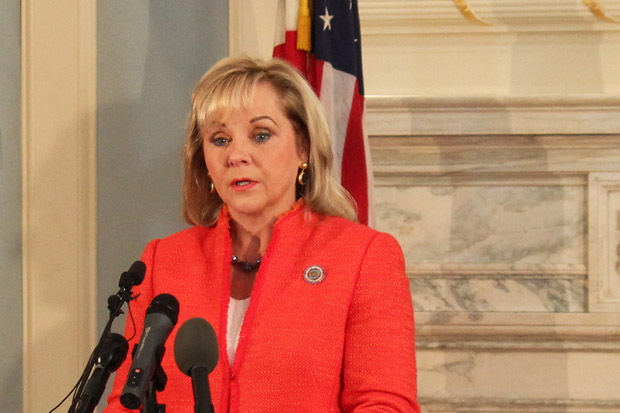 Notwithstanding the fears that the drugs might cause the kind of 43-minute, tortured death that Lockett actually suffered last night, Oklahoma governor Mary Fallin (pictured above) brought the state to the brink of political crisis over the Oklahoma Supreme Court’s decision to stay the execution earlier this month. Only after some of Fallin’s Republican colleagues in the Oklahoma legislature threatened to impeach the justices did they relent. Whatever you think of the death penalty and its continued use in the United States, it’s difficult to believe that it’s worth undermining the judiciary’s independence on a matter of life-and-death constitutional rights or that it’s worth turning the penultimate expression of law and order, an irreversible deterrent, into a tortured science experiment. It’s even harder to believe that in a 21st century liberal democracy with strong freedom-of-information traditions, a state government can legally keep secret the means of executing its own citizens. With just three rounds to go between today and May 12, and just 194 seats left to fill, Indians are once again going to the polls today to elect MPs in 89 constituencies. The biggest prize of today’s voting is Gujarat, the home state of Narendra Modi, where his ruling Bharatiya Janata Party (the BJP, भारतीय जनता पार्टी) hopes to win the lion’s share of the state’s 26 seats in the Lok Sabha (लोक सभा), the lower house of India’s parliament. 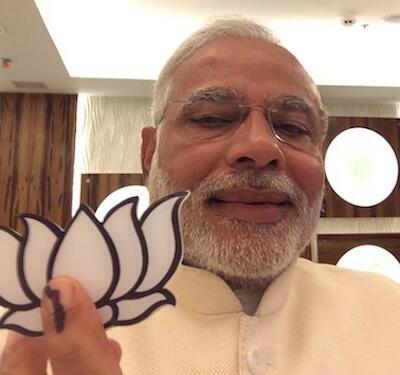 Modi (pictured above in a ‘selfie’ posted to Twitter after voting earlier today in Ahmedabad) has served as chief minister of Gujarat since 2001, and he’s won three consecutive elections, most recently in December 2012. Much of his campaign revolves around his own stewardship of the Gujarati economy over more than a decade. The promise that Modi, as India’s next prime minister, can bring the ‘Gujarat model,’ with its high level of development, GDP growth and investment, to all of India is an alluring prospect. 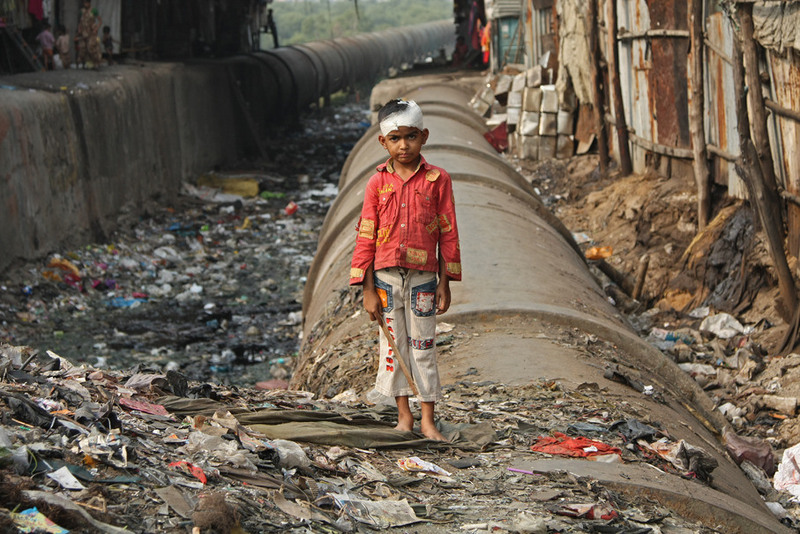 But it’s questionable that there’s anything like a ‘Gujarat model’ at all — it’s probably more accurate to talk about a ‘Gujarat narrative’ that begins well before Modi took office. While Modi has worked hard to bring investment to his state, and while he may be credited with some of the state’s economic success over the past 13 years, it’s not certain just how he would effect the lessons of Gujarat’s development throughout the rest of India. It’s been barely over two years since all US military personnel left Iraq in December 2011, but you could be forgiven if you think that it feels much, much longer. When Iraqis go to the polls to vote today, it won’t likely make front-page headlines in the United States, even as Iraq moves away from national unity and toward growing sectarianism once again. The last time that Iraqis went to the polls, the country seemed like it was on the mend. The destructive civil war from 2006 to 2008 that divided Baghdad (and much of the rest of Iraq) on Shiite and Sunni lines had subsided, thanks in part to a ‘surge’ of US military force and the ‘Awakening,’ a movement Sunni Iraqi leaders to combat radical elements like al-Qaeda. Iraq’s prime minister since 2006, Nouri al-Maliki, was running for reelection on a nationalist platform just as much as he was running to emerge as the leading Shiite power broker. Fast forward four years, and Iraqis now seem less sanguine about the future than at any time since 2008. 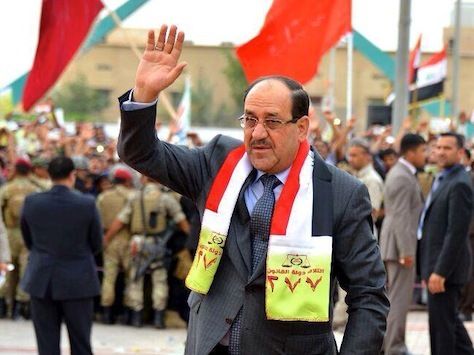 Even though Maliki (pictured above) is favored to win a third term as Iraq’s prime minister, Iraq’s future is an uncertain as ever. Exacerbated by the three-year civil war in neighboring Syria, sectarian tensions are once again on the rise. Corruption and mismanagement among Iraq’s ruling class has corroded the ability of its government to deliver even the most basic of public services, to maximize oil revenues or to provide sufficient power in Baghdad or elsewhere in the country. Members, both Sunni and Shiite, of Maliki’s ‘national unity’ government have spent the past four years fighting over access to power rather than working on policy solutions. In reality, the ‘national unity’ government, as headed by Maliki, has contributed to Iraq’s growing disunity. What’s more, it’s brought a disturbing lack of accountability — because everyone’s inside the government, there’s no opposition to hold the government accountable and there’s no credible alternative-in-waiting. 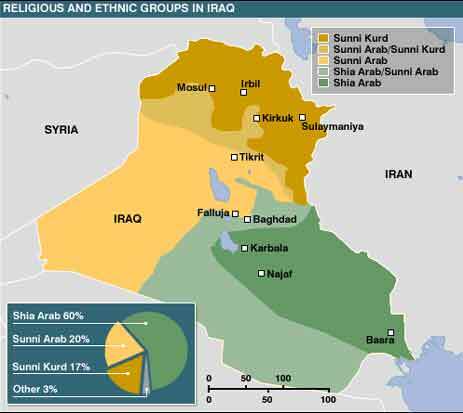 Dissatisfaction is growing at an alarming rate among Iraq’s Sunni Arab minority — note that Sunni Arabs roughly constitute around 20% of Iraq’s population, with Shiite Arabs comprising around 60% and Iraqi Kurds comprising 20%. That’s left much of the western al-Anbar province under the control of more radical Sunni groups that are also fighting against Syrian president Bashar al-Assad in Syria. Clumsy attempts last December by the Maliki government to assert control over Fallujah and other cities in the Sunni-dominated west only served to empower Sunni resistance, including a fair share of radical jihadists, such as the Islamic State of Iraq and the Levant (ISIS or ISIL, الدولة الاسلامية في العراق والشام, ad-Dawla al-Islamiyya fi al-’Iraq wa-sh-Sham‎), which formerly held itself out as Iraq’s homegrown branch of al-Qaeda, and which is active in Syria as well. But the violence is no longer confined to the west — an alarming number of suicide bombings and other attacks are on the rise all across Iraq, from Baghdad to Basra, the oil-rich province in the far south. RELATED: What is happening in Iraq, Fallujah and al-Anbar province? Radical groups have warned Sunni Arabs against participating in today’s elections on threat of violence. But parts of the Sunni west are so dangerous that the central Iraqi government won’t even be able to conduct elections there. The unrest follows Maliki’s systematic exclusion of top Sunni figures from government, including Iraq’s vice president, Tariq al-Hashemi, who fled to Iraqi Kurdistan and then Turkey after Maliki’s forces tried him for murder and sentenced him to death. From the army to the central bank to the oil ministry, Maliki has skillfully excluded his ostensible Sunni partners in favor of Shiite allies. Meanwhile, in the north, Iraqi Kurdistan has forged ahead with an increasingly autonomous government that’s avoided many of the missteps of the central government, even as Iraqi Kurdistan pulls further away from Baghdad. For example, the Kurdish government is now shipping 100,000 barrels of oil a day through a pipeline to Turkey, thereby exacerbating relations with Baghdad to the point that Maliki has suspended the 17% of the Iraqi budget allocated to the Kurds. As Iraqi Kurdistan continues to prosper as an oasis of stability with a relatively successful democracy and a strong economy that is attracting a growing amount of foreign investment, it’s sharing less and less in common with the rest of Iraq that seems to be heading into turmoil. In what must be one of the world’s slowest vote-counting exercises, most of the results of Afghanistan’s April 5 election have now been tallied, and frontrunner Abdullah Abdullah’s lead is growing in his bid to succeed outgoing president Hamid Karzai. With around 82% of the votes now counted, Abdullah leads with 43.8%, followed by Ashram Ghani Ahmadzai, a former World Bank official and finance minister, who is winning 32.9%. Zalmai Rassoul, until recently Karzai’s foreign minister, was in third place with 11.1%. Though Abdullah’s lead has grown steadily throughout the vote count, he won’t achieve the absolute majority he would otherwise need to avoid a runoff against Ghani, which would take place after May 28 — likely in June. 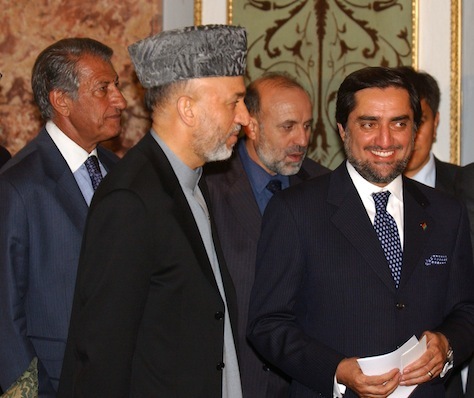 A report in The New York Times over the weekend indicated, however, that Abdullah (pictured above with Karzai in 2004) is already on the verge of winning Rassoul’s support, which could power Abdullah to a convincing runoff victory against Ghani by bringing southern Pashtun tribes close to Karzai into his ethnic and political coalition. Though the outgoing president hasn’t endorsed a candidate in the race, Rassoul is widely seen as the candidate of the Karzai administration, and Karzai’s brother, Quayum Karzai, dropped out of the race in March and endorsed Rassoul. In the meanwhile, despite some horrific violence in the weeks leading up to the election, the Taliban, which is boycotting the vote, has been remarkably quiet, notwithstanding expectations that it would be working hard to undermine safety during the election campaign. Some analysts believe that the Taliban is waiting until the runoff vote to achieve maximum disruption, but the lull might actually mean that Abdullah and Ghani and their supporters are negotiating behind the scenes with key Taliban leaders. 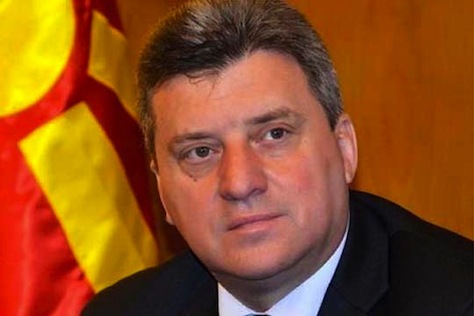 It wasn’t a surprise, but Macedonia’s conservative president Gjorge Ivanov (pictured above) won reelection to a second four-year term in Sunday’s elections, and its conservative prime minister Nikola Gruevski won a fourth consecutive term, with his ruling party making minor gains in the Macedonian parliament that they’ve controlled since 2006. Gruevski’s ruling VMRO-DPMNE (Внатрешна македонска револуционерна организација – Демократска партија за македонско национално единство; Internal Macedonian Revolutionary Organization – Democratic Party for Macedonian National Unity) actually improved their total from 56 seats to 61 seats, nearly a majority in the 123-seat Собрание (Sobranie), the country’s unicameral assembly. Gruevski’s junior coalition partner, the Democratic Union for Integration (DUI, Bashkimi Demokratik për Integrim), brought the government down earlier this spring over the issue of Ivanov’s reelection. Despite a high-profile call to boycott the presidential vote in the first round by the country’s ethnic Albanians, the DUI also improved its standing from 15 to 19 seats, and it will likely resume its place in government. WILKESBORO, N.C. — With apologies, Suffragio has been somewhat amiss over the past few days. That’s because I’ve been in the depths of western North Carolina exploring American and bluegrass music at the Merlefest festival in the foothills of the Appalachian Mountains that commemorates Doc Watson and his son, Merle Watson and exploring, in part, the Irish roots of bluegrass music from Kentucky. Wireless access, to say nothing of electricity, has been spotty. 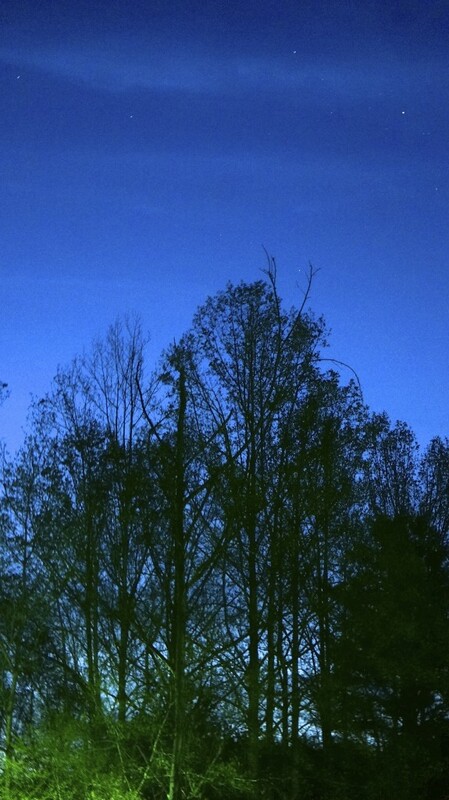 But I have some definite thoughts to share about the state of old-time mountain music, bluegrass and Piedmont blues. Ted Gioia, eat your heart out. Not to worry, I’ll have some thoughts soon about the Macedonian election results, the race for South Korea’s new prime minister, the latest on Afghanistan’s election and Serbia’s new government. I’ll also have some thoughts on South Africa, Iraq, Panama and, as usual, more on India and upcoming European parliamentary elections. If there’s been a Suffragio lull over the weekend, rest assured that the best is coming as I am tanned, rested and ready for the crescendo of May’s world elections — India, EU, and beyond. That collective freakout you heard this morning between Jerusalem and Washington? 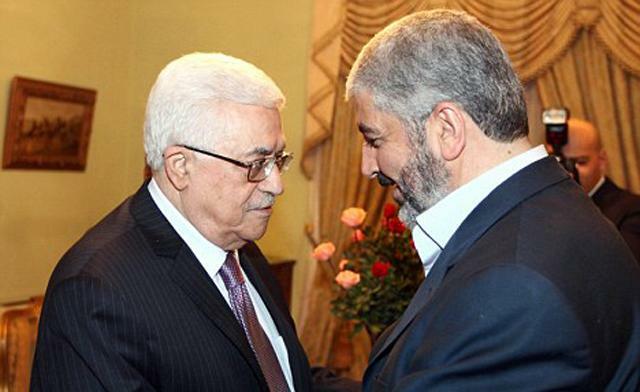 It was the entirely premature overreaction of both the US and Israeli governments to a one-page agreement between the two competing Palestinian factions that attempts, for the third time since their 2006-07 rupture, to unite Fatah (فتح‎), which currently controls the West Bank, and Hamas (حماس‎), which currently controls the Gaza Strip. The agreement is hardly definitive, and it follows two failed deals agreed to in high-profile meetings in Cairo and Doha over the past three years. It commits the two factions to an interim unity government within five weeks, with elections to follow within six months. Needless to say, it’s an incredibly preliminary deal, and there are countless opportunities for West Bank leader Mahmoud Abbas and Gaza prime minister Ismail Haniyeh to derail it. After the agreement was announced, Israel cancelled a planned session of peace negotiations with the Palestinians. It also launched an air strike on a site in the north of the Gaza Strip, wounding 12 people including children, which underscored the deep mutual suspicion and hostility that persists. Speaking in Ramallah in the West Bank, Abbas said in his view the pact with Hamas did not contradict the peace talks he was pursuing with Israel, adding that an independent state living peacefully alongside Israel remained his goal. The United States would have to reconsider its assistance to the Palestinians if Islamist group Hamas and the Palestinian Liberation Organization form a government together, a senior U.S. administration official said on Thursday…. “Any Palestinian government must unambiguously and explicitly commit to non-violence, recognition of the state of Israel, and acceptance of previous agreements and obligations between the parties,” the U.S. official said, listing terms Hamas has long rejected. “If a new Palestinian government is formed, we will assess it based on its adherence to the stipulations above, its policies and actions, and will determine any implications for our assistance based on U.S. law,” the official said, speaking to Reuters on condition of anonymity. Foreign aid, in part, is responsible for an economic boom in the West Bank, and, particularly, in its unofficial capital of Ramallah. So it’s a step that would cause some significant hardship to Abbas, undermining the most reliable Palestinian partner that the US and Israeli governments currently have. It’s not hard to see Palestinian voters delivering a resounding Hamas victory in a vote later this year if the United States and Israel take such a hard line. Today, Indians in eleven states (and a territory) will vote in the sixth phase of its elections. In terms of seats, today’s phase of voting (in 117 constituencies) is only marginally less important than last week’s April 17 phase, in which 121 seats to the decided. What’s more, after today’s voting, we’ll be well over the halfway mark of voting in all 543 constituencies of the Lok Sabha (लोक सभा) — following today’s phase, we’ll be 195 constituencies away from the end of what’s been the largest, longest election in Indian history. So where are the key points in today’s round of voting? The biggest prize is the southern state of Tamil Nadu, which elects all 39 of its Lok Sabha representatives today. It’s one of India’s most populous states, with over 72.1 million people, and it’s also one of India’s largest state economies, with its capital Chennai a primary manufacturing, services and financial hub. As expected, none of Lebanon’s presidential candidates emerged today with the two-third majority required to succeed Michel Suleiman as the next Lebanese president. Suleiman’s term is scheduled to end on May 25, and Lebanon’s parliament today held the first of what is expected to be several ballots to choose a successor. Under Lebanon’s confessional system, its president has traditionally been a Maronite Christian. The ‘March 8 bloc,’ which includes Hezbollah and Lebanon’s other Shiite parties, some Sunni Lebanese and the Free Patriotic Movement of Maronite leader Michel Aoun, all cast blank ballots. The ‘March 14 bloc,’ which includes Saad Hariri’s Sunni Future Movement and Lebanon’s other Maronite parties, supported Samir Geagea, the leader of the Lebanon Forces. Walid Jumblatt, who leads Lebanon’s political Druze community, supported Henry Helou. As I wrote yesterday, the first round is largely seen as a testing ground for the strength of the various blocs. Starting with the next round, a candidate needs to win a simple majority (65) in order to win the presidency. 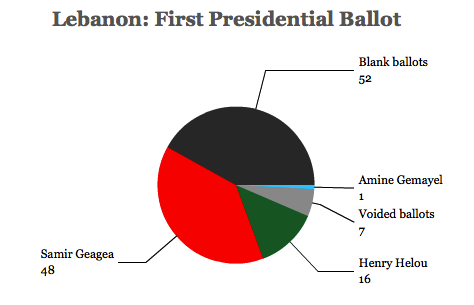 If the blank votes correspond neatly to the March 8 coalition’s strength, it means that neither a March 8-backed Aoun candidacy nor a March 14-backed Geagea candidacy will win without appealing to Jumblatt and the Druze community. Aoun and Geagea, both controversial, are longtime rivals, dating back to the Lebanese civil war of the late 1970s and 1980s. That means that it’s likely that a consensus candidate might emerge, possibly including army commander Jean Kahwagi, central bank president Riad Salameh, or former minister Ziad Baroud. The presidential vote is the first major decision of the national unity government of prime minister Tammam Salam, which formed in February after ten months of tough negotiations. Lebanon’s next president will face strong pressures as Syria’s civil war enters its fourth year, with elevated tensions between Lebanese Sunni and Shiite constituencies, and with a deluge of Syria refugees challenging Lebanon’s infrastructural capacity. As Narendra Modi looks for new places where the ‘Modi wave’ can power him to a majority government, one of those place won’t be Tamil Nadu. That’s because, like so many other states in India, Tamil Nadu is dominated by regional parties. Though the politics of Tamil Nadu are unique to the state, it’s a case study in how regional politics can influence and distort national outcomes. With over 72.1 million people, Tamil Nadu, which sprawls along India’s southeastern coast, is one of the biggest prizes in India’s nine-phase, five-week marathon election contest, boasting 39 seats in the 545-member Lok Sabha (लोक सभा), the lower house of India’s parliament. Tamil Nadu has the second-largest state economy in India, after Maharashtra (home to Mumbai). Chennai, its capital, is a hub for manufacturing, services and finance, and it and other state cities benefit from being part of the great IT sector hinterland that’s drawn so much foreign investment to Bangalore, which lies just to Tamil Nadu’s northwestern corner. Though Kerala (0.790) and Delhi (0.750) lead India with the highest state/territory-level human development indices, Tamil Nadu’s HDI (0.570) is equivalent to that of Maharashtra, making it higher than the Indian average (0.467) or in Gujarat (0.527). Tamil Nadu’s GSP per-capita is also, slightly, higher than Gujarat’s. That’s significant because Modi is largely campaigning on the economic prowess of the ‘Gujarat model‘ and his economic stewardship of Gujarat since 2001. Though Modi and the Hindu nationalist Bharatiya Janata Party (the BJP, भारतीय जनता पार्टी) are expected to win this spring’s election, it’s still an open question if he and the BJP’s allies can amass the 272 seats that they’ll need to form a secure majority government. One of the reasons for that is the dominance of regional parties like those in some of India’s largest states, including Tamil Nadu, Uttar Pradesh, West Bengal and Odisha. 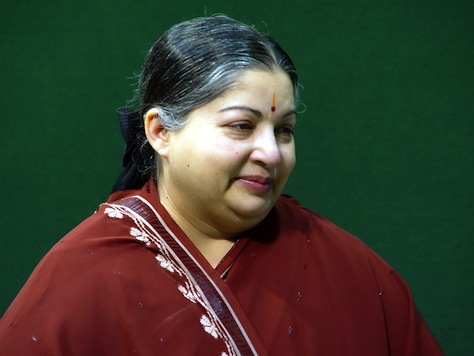 That also means that the state’s chief minister and its virtual strongwoman, Jayalalithaa (pictured above), a former Tamil cinema actress, could become one of several outsiders to which Modi turns to form a coalition. If there’s anyone in India who’s perfected the personality cult, it’s Jayalalithaa, whose face greets you throughout the state, from rural towns to urban centers like Chennai (formerly Madras) and Madurai. Known affectionately as ‘Amma’ (‘mother’ in Tamil), her government is responsible for setting up ‘Amma canteens‘ to provide subsidized food to the poor, providing ‘Amma bottled water‘ to deal with chronic shortages and even establishing ‘Amma theaters‘ for entertainment purposes. With the term of Lebanese president Michel Suleiman set to expire on May 25, the country’s 128-member parliament will convene tomorrow, April 23, for the first of what will likely be weeks of voting and negotiating to select a replacement. Though the president has less day-to-day power over Lebanese governance, it’s a vital post at a time when national unity is stretched to its limits and Syria nears the third anniversary of the start of a brutal civil war that falls along precarious sectarian lines. Syria’s conflict has brought a massive wave of refugees into Lebanon, and it’s also caused significant unrest from Tripoli to Beirut, with some Shiite Lebanese intervening on behalf of the regime of Syrian president Bashar al-Assad and some Sunni Lebanese intervening on behalf of anti-Assad rebels. Though Suleiman has only served as Lebanon’s president since 2007, his increasingly critical remarks against Hezbollah (حزب الله‎), the powerful social, political and military Shiite organization, have made it unlikely that he’ll win reelection. Hezbollah, among all of Lebanon’s political groups, has taken the boldest and most consequential steps into the Syrian war in support of Assad. The presidential vote follows the successful formation of a new government in February, which itself followed ten months of difficult negotiations guided by Lebanon’s current prime minister Tammam Salam. The national unity government includes ministers from the ‘March 8’ bloc,* the ‘March 14’ bloc and top Druze leader Walid Jumblatt’s Progressive Socialist Party (الحزب التقدمي الاشتراكي‎), which has switched between the March 8 and March 14 camps throughout the past five years. Under Lebanon’s complex confessional system, whereby 64 seats in Lebanon’s national assembly (مجلس النواب) are reserved each for Muslims and for Christians, the presidency traditionally goes to a Maronite Christian, the premiership to a Sunni Muslim and the speakership of the national assembly to a Shiite Muslim. Right now, the only major declared candidate is Samir Geagea (pictured above, top), the leader of the Lebanese Forces (القوات اللبنانية‎). 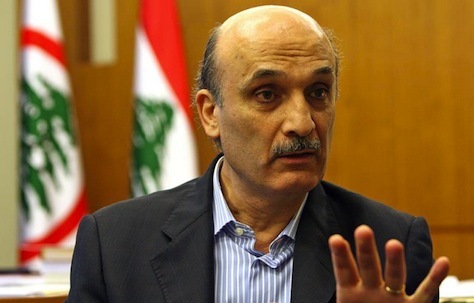 For now, at least, Geagea is the candidate backed by the entire cross-confessional March 14 coalition. But Geagea isn’t the most uniting candidate, even within the March 14 camp. He’s unlikely to wield enough support, even in the second round, to win enough over votes from the March 8 coalition, which will likely cast blank ballots in tomorrow’s vote. 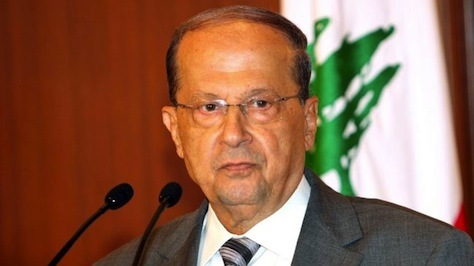 The March 8 bloc’s top choice for the presidency will almost certainly be Michel Aoun (pictured above, bottom), the leader of the Free Patriotic Movement (التيار الوطني الحر‎), the most prominent Maronite group within the March 8 alliance. 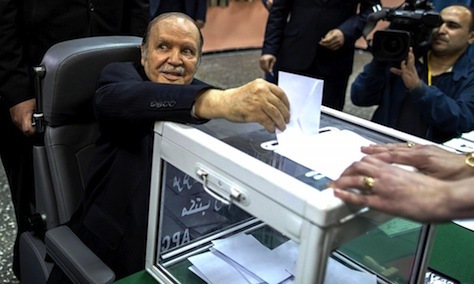 To confirm what was obvious to anyone before the election, Algeria’s long-serving president Abdelaziz Bouteflika, at age 77, has won a fourth term. Though he won 81.53% of the vote, that marks a drop from the 90.2% he won in 2009 and the 85.0% he won in 2004. What’s more, turnout dropped to 11.3 million (just 51.7%) from 15.35 million in 2009 (74.5%), demonstrating just how apathetic Algerian voters have become about the election. The runner-up, Ali Benflis, served as Bouteflika’s prime minister from 2000 to 2003 and was once a top official in the ruling Front de Libération Nationale (FLN, National Liberation Front, جبهة التحرير الوطني), but he broke with Bouteflika to run in the 2004 election. While he officially won 12.18% of the vote in the April 17 election, he denounced the vote as subject to widespread fraud. Even with victory assured, is the ANC’s future at risk? No one doubts that the African National Congress (ANC) will win South Africa’s parliamentary elections on May 7, extending its political hold on the country since the end of apartheid in 1994 and the election of the ANC’s Nelson Mandela as South Africa’s first non-white president. Twenty years later, South Africans are going to the polls for the first time following Mandela’s death late last year, and the chief opposition party, the Democratic Alliance (DA) will be satisfied if it can make further gains, consolidating its hold on Western Cape province, where the DA’s leader Helen Zille serves as premier, appealing to voters in Northern Cape and Eastern Cape, and growing its presence in Gauteng under the leadership of rising star Mmusi Maimane, currently a member of the Johannesburg city council. But even if the ANC wins with over 60% of the vote, the same level of support as it has generally attracted in the past three elections, South Africa’s ruling structure will enter its third consecutive decade in power exceedingly unpopular, increasingly divided and with no clear path of transition to a compelling successor to the 71-year-old Zuma (pictured above, right, with deputy ANC leader Cyril Ramaphosa). As Zuma is term-limited as South Africa’s president (the president is elected shortly after parliamentary elections, so the ANC’s dominance will all but assuredly result in Zuma’s reelection later in May or June), he’ll enter his second term as a lame duck with nagging controversies over mismanagement and corruption. 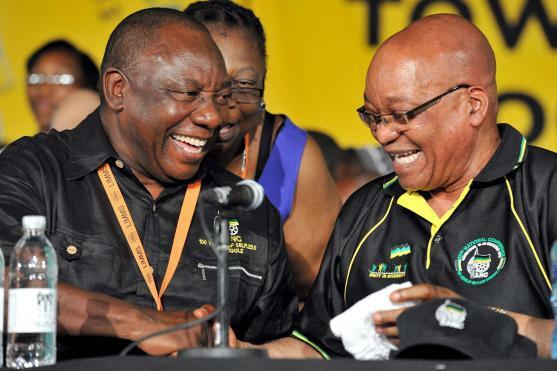 What’s more, the ANC will elect a new leader in 2017 — meaning that, unless Zuma tries to hold onto the party leadership, the ANC will determine the individual who could lead South Africa from 2019 to 2029 within the next three-year window. Though posturing for the 2017 contest is well under way, if quietly, too few ANC leaders are talking about how to revitalize the ANC for a new generation of issues and policy challenges. 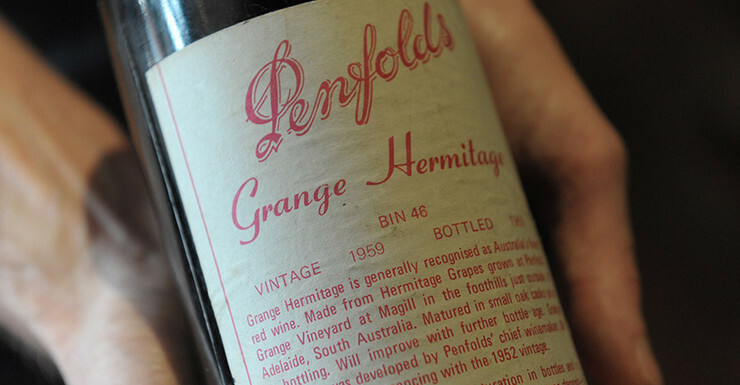 In the end, all it took for Barry O’Farrell to lose his job as the premier of New South Wales, Australia’s most-populous state, was a $3,000 bottle of wine. Though he came to power in 2011 in a landslide victory over the Australian Labor Party, O’Farrell resigned last week as premier after just three years in office and seven years leading the NSW division of Australia’s center-right Liberal Party. Dear Nick & Jodie, We wanted to thank you for your kind note & the wonderful wine. 1959 was a very good year, even if it is getting even further away! Thanks for all your support. Kind regards, Baz & Rosemary. 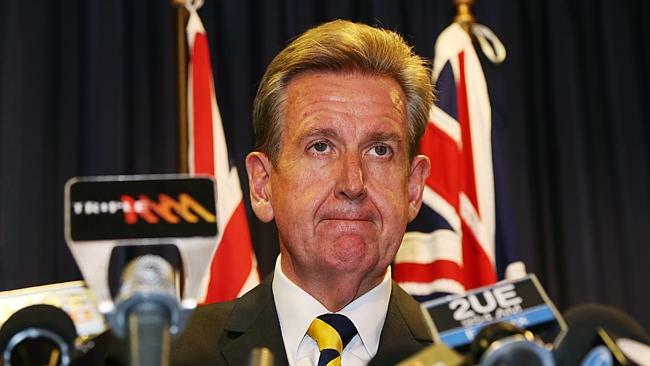 A day after the thank-you note came to light, O’Farrell (pictured above) claimed that, in a ‘massive memory fail,’ he had no recollection of the gift, but nevertheless announced his resignation. He stepped down officially on Thursday, and the New South Wales treasurer Mike Baird became the state’s new premier the same day. It’s a fairly well-trodden path for a politician caught in a bind like this — if you believe your position untenable, better to resign as early as possible, take credit for ‘falling on your own sword,’ and hope for future rehabilitation via the private sector or, in time, a political sinecure. Sure enough, at the end of the week, Liberal prime minister Tony Abbott was praising O’Farrell for having ‘taken the honorable step’ of resigning. O’Farrell’s resignation came so fast that some commentators wondered whether he did so because he realized more revelations would come out through the commission’s investigation.